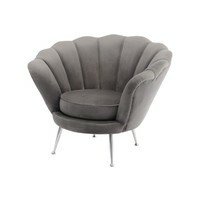 Sasha Soft Mid Grey Velvet Shell Chair. 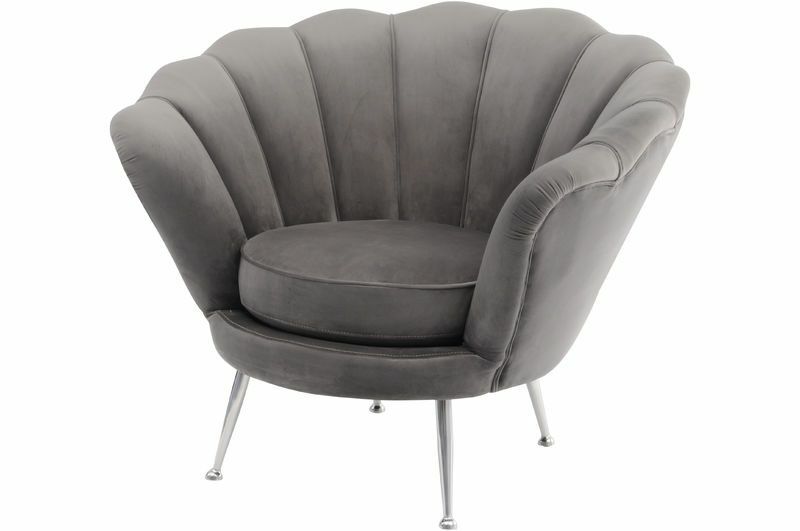 Art deco inspired velvet grey occasional chair. 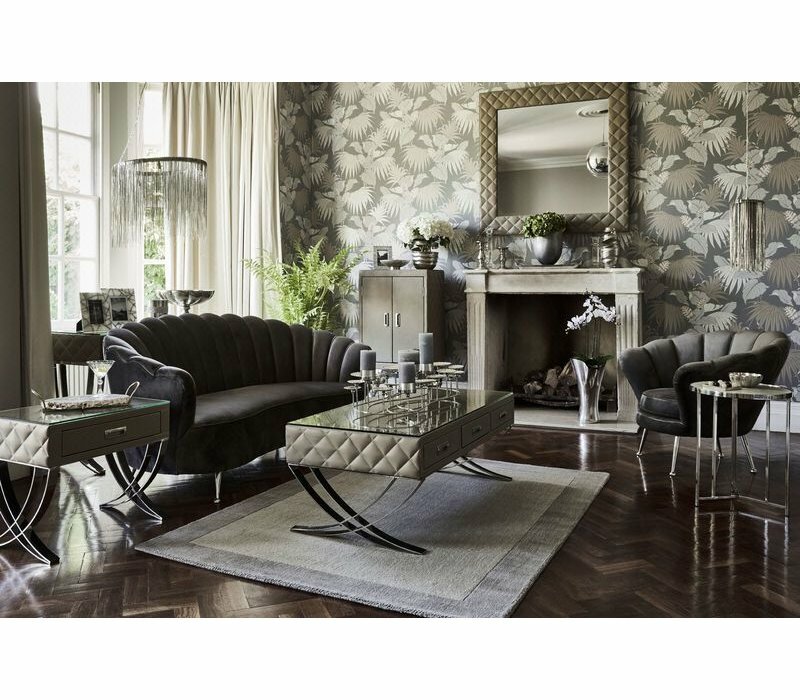 The rippled shell back and stainless steel legs give this piece a stunning vintage feel. 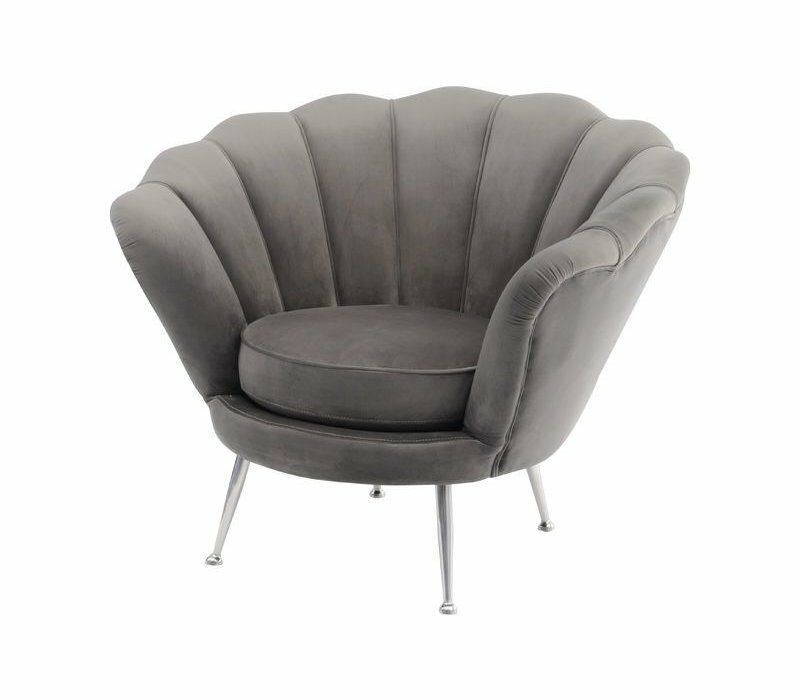 93cm width, 80cm depth, 79cm height.